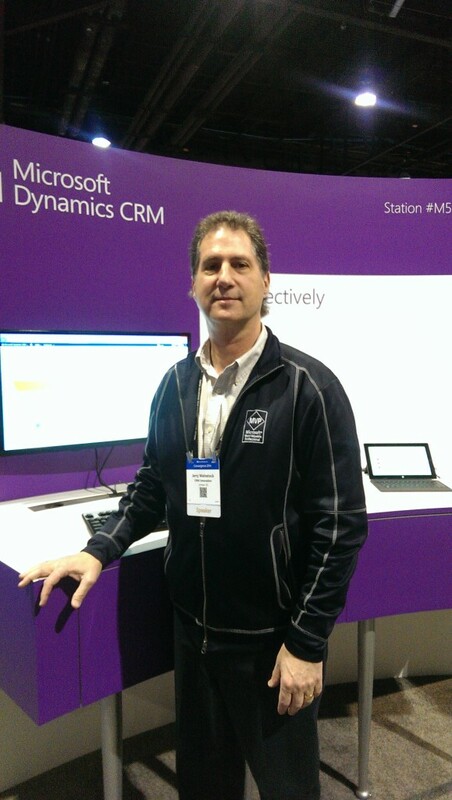 One of the fun things I get to do each year is give back to the community and help staff the Microsoft Dynamics CRM Solutions User Experience Booth for a few hours. It is part of the ‘perks’ of being an MVP to be able to do this. Not only do I get to meet with a wide variety of existing and potential CRM prospects that want to understand the latest functionality, I also get to hang out with some of the MS sales team members. This year I worked the booth during the expo party hours Tuesday evening and then again Wednesday morning. Each year the team prepares demo’s and scripts for us to use. But the reality of it is that people that come by the booth just want to talk about the specifics of their world and not generics. Every few minutes you are hit by another visitor that has a completely different business need. It keeps you on your toes so to speak or atleast your feet for a few hours.